All works are available unless indicated as sold. John Taylor was educated at the Central St. Martins School of Art in London where he studied Theatre and Film Design. He takes his inspiration from post war British art. His mid century style is informed by the simplicity of modernism. He shows regularly in London galleries and art fairs. Last updated 1st. April 2019.
' 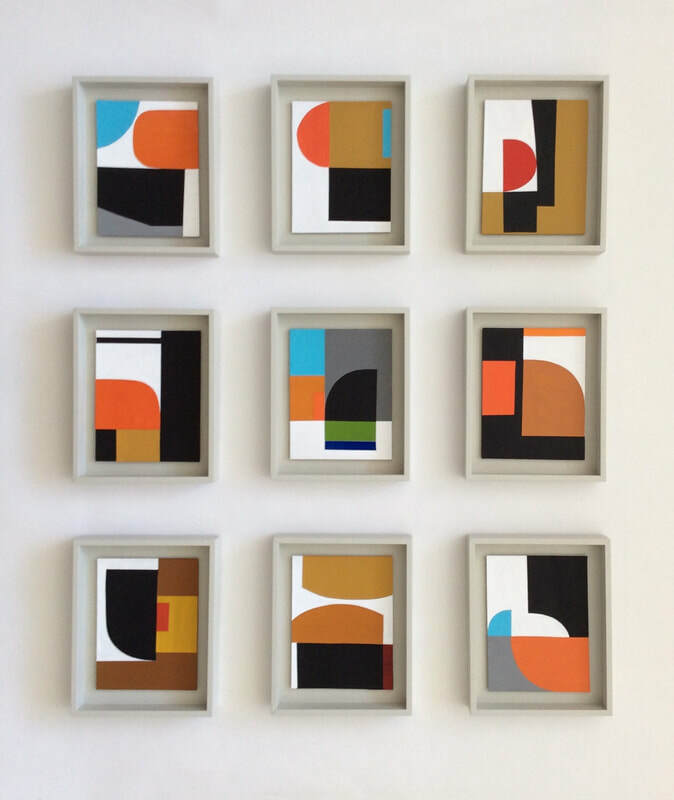 nine collages' An installation of nine parts each measuring 26.5 x 21.5cm Acrylic and card on board.